After more than thirty-five years of dedicated study of Instrumental TransCommunication (ITC), Marcello Bacci can be considered a leading expert in the field due to this exceptionally long record of experimentation with the voices. The remarkable phenomena that have occurred in the past decades in Grosseto, Italy, indicate that this persevering experimenter is always prepared to locate new openings to communicate with the beyond. Bacci’s character is such that he is never satisfied with the results achieved and always wishes to continue the exploration from other possible perspectives. His interest in the paranormal goes back to 1949 when he participated in a mediumistic sitting in London. From that time, his life was indelibly marked and today, at seventy-nine years of age, he continues to make regular experiments, once a month. Bacci is a man with wide-ranging creativity. His personality reveals itself to be unconditioned and free, intolerant of any restriction coming from dogmatic and cultural pressures that seek to reject realities that personal experience has indicated to him are possible. In his long years of experimental work, Bacci has tested various methods and many technical devices. In the beginning he made microphone recordings, in the same manner as Jürgenson and Raudive. Over the years he has made many other attempts with newly developed devices. 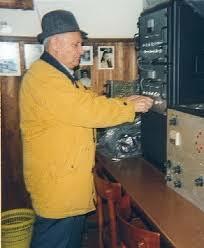 In the past two decades he has been obtaining his transcontacts through an old Nordmende valve radio. Today, Bacci performs his monthly experiments in the presence of many people, mainly parents who are hoping to establish contact with their deceased children. It is important to observe that Bacci, who has applied himself to ITC with great commitment for more than thirty-five years, never asks for money or other kinds of financial incentive. 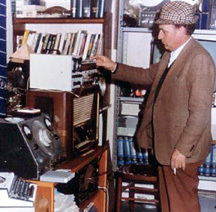 In his experiments, Bacci tunes his radio to the short-wave band, in a frequency ranging between 7 and 9 MHz, in a zone clear from normal radio transmissions. After waiting for ten to twenty minutes the existing background noise disappears and a typical acoustic signal comes out of the loudspeaker, similar to an approaching wind vortex, repeated three or four times at short intervals. Silence then follows, at the end of which an invisible speaker starts to communicate by establishing with Bacci, or with the people attending the experiment, something like a dialogue. It is interesting to observe that usually the entities address Bacci in the third person and only rarely in the first person. The paranormal vocal utterances are not continuous but interspersed with pauses. They last for varying lengths of time from a minimum of approximately ten seconds to a maximum of three to four minutes. Sometime the contact ends with a solemn choir. Once the contact is concluded, the normal background noise returns. Each experimental session lasts about forty to sixty minutes. It is important to highlight some peculiarities that characterize the role of the radio receiver in the experiments. The first is the perfect continuity of the communicating voice [even] if the receiving frequency is continuously changed by rotating the tuning control knob during the reception of paranormal voices. The second peculiarity is found in the experiment that took place on December 5, 2004 in Bacci’s laboratory. Approximately one hour after the commencement of the voices and while they were still continuing, the radio receiver’s five valves were all removed. Despite the absence of the valves, the voices continued to speak with undiminished volume and clarity. 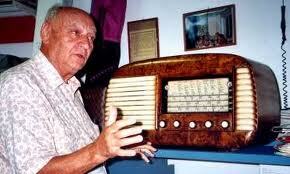 Lastly, the phenomenon persisted intermittently for two minutes and twenty seconds after Bacci switched off the radio. The invisible communicators affirm that they are Spiritual Beings. Sometimes they have asserted, “The Spirit is speaking to you,” without giving any indication of their identity. With unequivocal precision all the communications reveal the presence of autonomous intelligent beings, differing from each other by the voice characteristics and by the emotional and conceptual content that characterize each communicating personality. The voices deal with the most varied topics, freely chosen by the communicators themselves, since Bacci has no wish to interfere and only occasionally asks questions. The invisible communicators have always demonstrated a profound and sensitive response to the human pain caused through the death of a loved one, expressing words of great comfort and strength. Dear mothers, we have already told you that your loved ones suffer only if you are suffering. A day will come where the mysteries will be disclosed to you, the haze will be dissipated and all of you will be embraced by a clear light. One day you'll leave your body where you found it, to reach another order of being. The end of each experiment is devoted to personal contacts between deceased children and their parents who attend the experiment. The children’s communications are an attempt to reassure their parents of their survival in another dimension, in their new state of existence. These contacts, besides producing an immediate emotional impact that is profoundly moving for the recipients, represent the most convincing evidence of the authenticity of the phenomena. Most often, another voice informs the parents of the presence of the deceased loved one, but at other times the child directly manifests himself or herself by repeatedly pronouncing his or her name or by giving in a few words as an emotionally pregnant message. It is astonishing how the children’s voices are sometimes modulated with timbre, lilt and inflexion recognized by the parents. They can be male or female, childish, juvenile or adult depending upon the circumstance. Sometimes the sentences are pronounced slowly as though the speaker has met some difficulty in finding the appropriate words, while at other times, sentences are fast and expressed without any hesitation. To overcome the distrust and incredulity of participants who are attending an experiment for the first time, the voices adopt an effective, direct method: they address such people by their own, personal name. The impact is immediate; those who listen to their name coming from the radio are astonished, literally captivated. Fear to die? I don’t believe that death deserves so much! Here is Life after death. Death has been beat and this hope is not an illusion, your life must be transformed. There is another dimension, another Life. Remember, the Spirit will transform your mortal body into a spiritual body. Have you understood? This is inconceivable for the human being! Human beings are not eternal but much more then eternal! Your body will become Spirit, not similar but the same being; about this we cannot say anything more. Be aware: it is supernatural what they are listening to and seeing. The basic concept, that has been repeatedly asserted, concerns the finality of these communications. They must be considered not only as consolatory, but as having the ultimate goal of helping people in their correct understanding of the afterlife. The Spirit is manifesting as mediator of the Truth, He comes to speak in this special way assuming a human feature to give his message. His presence allows you to approach the absolute Truth which cannot be entirely defined due to the limitations of human speech. Astonishment about their new surroundings. It is difficult to imagine how the communications, coming from a timeless dimension, are able to arrive in our space-time continuum. When we utter a word we are generating a temporal sequence of vowel and consonant sounds, and this is a normal process in our space-time continuum. The communication channel from and to the beyond has to pass through two different continua, the first one is the timeless and spaceless continuum and the second one is our space-time continuum. To make possible the transmission of words the communicator and the receiver must be placed within the same continuum: from what I can imagine this would only be possible through a common means of communication that shares the same capabilities, such as the psyche of discarnate and incarnate beings. In this discussion, our understanding of the “psyche” should not be limited to human beings living in this physical, earth plane. It must also possess the capabilities to move, under certain conditions, into a timeless and spaceless continuum. In this regard, the human psychic capabilities of precognition, clairvoyance, extra-sensory perception, etc. are well known. Evidence of that adaptation process may be found within the speech streaming features of the voices. In the early 1970s, at the beginning of his experimentation, the voices received by Bacci were of the same acoustic level as those recorded by Jürgenson and Raudive. In particular, they were characterized by a special rhythm and a slight singing cadence, factors that may depend upon the time stream. By the late 1970s both these characteristics had practically disappeared and the voices had assumed a typical “impulsive” speech articulation. Such impulsive articulation in the word utterances has become more evident in the past decades. This can be heard as a continuous change of utterance speed of each phoneme constituting the word, as the communicating personalities try continuously to adapt their temporal situation to ours. I proposed this hypothesis some years ago, but today my conceptual model about the paranormal voice structuring process has benefited from the broader understanding obtained thanks to the wide range of experiments conducted by Bacci and other ITC experimenters. It is important to note that the communication experiments often conclude with an emotionally evocative and solemn choir. All choirs heard to date present a melodic stream that is absolutely regular and without the time alterations found in the articulation speed of the words in other transcommunication. Why? The answer can be found in the following: If the same psychic model is operating in both the sender and the receiver, the result will be in accordance with their expectations, that is, with their interiorized psychic models. In other words it is strange to structure a psychic model of a choir singing without harmony, that is, without a regular flow of pleasant sounds. Many times the communicators invite the people attending the experiment to overcome their doubts by making a full immersion in the mystery. To this regard I believe that the following communication, coming from an Entity, recognized by his nickname “The Wise,” is addressed to researchers like myself who are trying to rationalize the voice phenomenon or, in a broader sense, the spiritual experience. The problem is not to define the mystery but let the mystery penetrate us through the eyes of Faith. It’s quite important the availability of the mind and heart and in particular it’s essential to ask the Spirit for the hospitality of heart. Since 1985 I have defined this special mind attitude as "Inner Attentive Disposition," which is, I am sure, an absolute prerequisite for establishing contacts with other planes of consciousness. From my point of view, this is the determining factor in opening the hidden channel that connects our physical plane to the higher planes of consciousness where one day we will, I believe, again meet all of our loved ones. The Instrumental Transcommunication Work Of Marcello Bacci as presented by Paolo Presi at the 2006 AA-EVP conference.